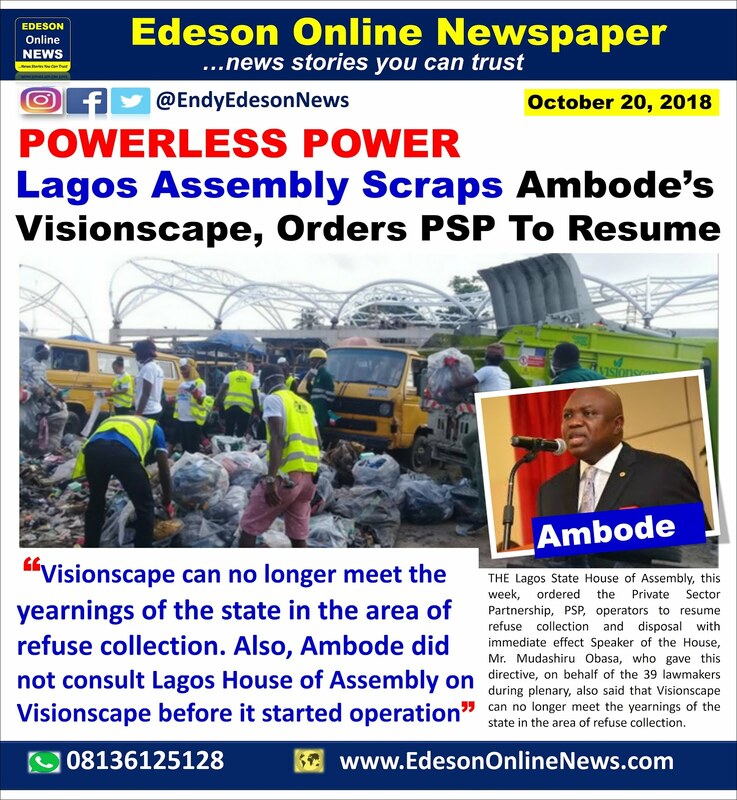 The move was sequel to a matter of urgent public importance raised by Mr. Gbolahan Yishawu, Eti-Osa Constitueny 11, on heaps of refuse scattered all over the state. 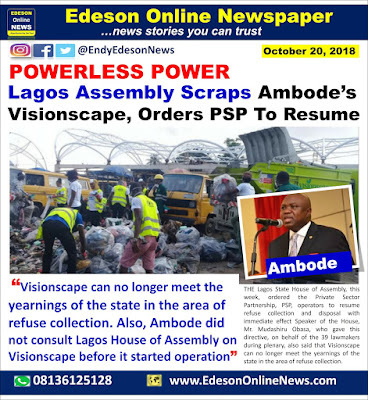 Speaker Mudahsiru Obasa emphasised that the Lagos State Government does not know about Visionscape, reiterating that the House has since distanced itself from its existence. Obasa then warned those stopping people from dumping refuse at the dumpsites to desist from doing so, adding that he saw a lot of refuse trucks in bad states and that some of them have been abandoned. Jeremiah Ademolu they won't say the truth they just want to destroy the empire. Bcs thy have another state to call theirs. I love this act. Lagos seems to b very very dirty. Dirt every sides and corners of the road even on major roads. This will reduce such.